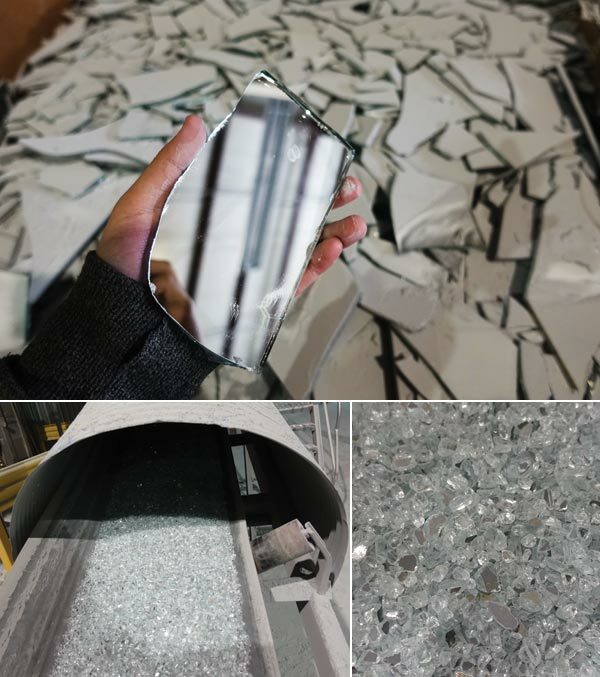 Post-consumer mirror glass goes through a crushing machine and ends up as beautiful material for terrazzo. Advancements in terrazzo now allow for chips of marble, quartz, recycled glass, concrete, porcelain, plastic, and metal aggregates to be mixed with an epoxy binder and polished into a smooth surface. There are plenty of aggregates to choose from, and Concord Terrazzo Co. can help you choose. Concord Terrazzo can create virtually any type of terrazzo flooring design utilizing TERRAZZCO® brand products. The extensive line of natural and recycled aggregates, as well as the limitless number of matrix color options, provides endless color and finish combinations. Concord Terrazzo Co. crushes and processes all marble, glass and shell chips in its factory in Charlotte, N.C. Under the TERRAZZCO product line, Concord Terrazzo promotes the use of post-consumer and post-industrial recycled glass, porcelain, concrete, as well as decorative marble and exotic seashells. These aggregates are made readily available for terrazzo projects around the world. Aggregates supplied within 500 miles of a project site can be awarded LEED® credit. Concord Terrazzo imports marble, glass and other materials from local quarries and manufacturing sites, later crushing them for flooring projects. When crushing materials, Concord Terrazzo uses the latest crushing technology to produce several tons of aggregate per day. Aggregate is reduced to three sizes: standard, Venetian, and micro-aggregates. Crushing technology also allows aggregates to be produced in different shapes. A cone crusher reduces the aggregate in size but produces a rounded edge. A jaw crusher produces a more elongated and jagged edge. After each aggregate is processed, the material is packaged and stored in the company’s warehouse to be used for future projects and sample requests. Recycled glass and other material can be used to create unique aggregates that, combined with epoxy, become part of floors, tabletops and even kitchen countertops. Have you ever wondered what happens to soda bottles, broken windshields, or televisions after their useful life? These materials may typically head to a landfill, but Concord Terrazzo Co. finds new purpose for them. TERRAZZCO brand recycled glass aggregates are crushed and later used in flooring, tabletops, countertops, and other custom surfaces. Terrazzo is known for its use of recycled content, which helps prevent the depletion of the Earth’s resources. Reusing glass can create eco-friendly, elegant and sustainable terrazzo surfaces. 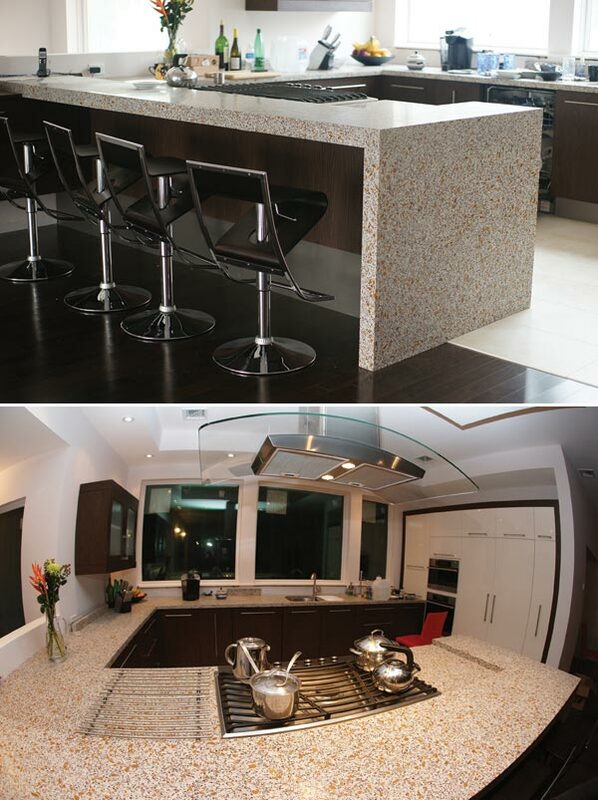 Glass terrazzo is a unique design idea that will surely make a statement for any building and will last a lifetime. 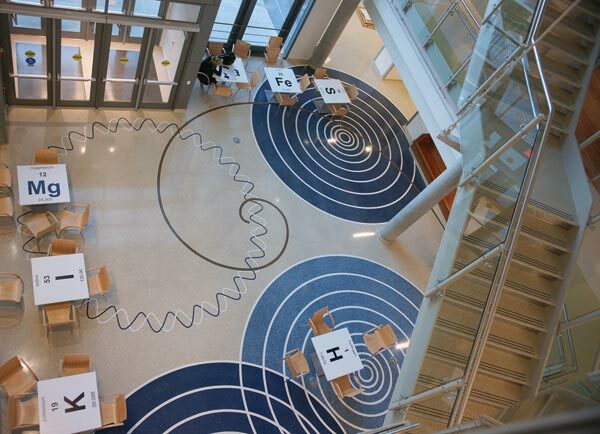 Doyle Dickerson Terrazzo installed epoxy terrazzo at the Science & Technology Building of George Mason University. This project is a prime example of the design flexibility of terrazzo. This project also includes precast terrazzo stairs leading up to the second level. Studies have indicated that design can increase the academic performance of students. But for this design, six different epoxy resin colors were used throughout the building, using marble chips and recycled content, primarily TERRAZZCO one-sided mirror glass, recycled porcelain, and some blue glass. 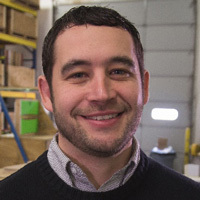 Jonathan Hall is marketing associate for Concord Terrazzo Co. Inc. He can be reached at jonathan@terrazzco.com. Visit www.terrazzco.com to speak to a design specialist or to request a free, custom TERRAZZCO sample. Downtown Tulsa’s newest luxury apartments, The Edge at East Village Apartments, are within walking distance of the historic Brady Arts District, the Blue Dome District and the Tulsa Performing Arts Center. The high-end residential apartment complex offers amenities for an active lifestyle. Residents can enjoy a workout in the 24/7 state-of-the-art exercise facility, relax in the large swimming pool with a tanning ledge, and plan social get-togethers or family outings in the outdoor kitchen and BBQ grill area. The Bomanite Exposed Aggregate Alloy System is a perfect match for the luxury living at The Edge at East Village Apartments. Bomanite of Tulsa worked with the designers at Alaback Design Associates, who chose Bomanite Alloy for its highly architectural reflective properties and slip-resistant qualities for the apartment pool deck. The pool coping was placed using Bomanite Alloy as well. Radius saw cuts were incorporated into the design to continue the detail of the pool. Bomanite Alloy is a unique alternative to other decorative concrete finishes. Its low life-cycle cost is a bonus for multi-unit complex developers, providing improved wear resistance for light- to moderate-duty vehicular or foot traffic, assisting in low maintenance for the heavily used patio and pool deck areas of The Edge apartments. Due to the use of Bomanite Sand Color Hardener, these highly durable surfaces are available in a wide range of aggregates and permanent, light-fast colors to help reduce the heat island effect. Bomanite Alloy is highly sustainable, as well as a suitable choice for architectural luxury designs. For more information about Bomanite systems and products, visit www.bomaniteoftulsa.com.